Proudly collaborating with the family run business of G. Doran & Sons Plumbing & Heating, we collaborated on a review of their traditional and online marketing efforts, helping them discover what efforts are working and what could be shelved in favour of other, more successful initiatives. Together we realized the monthly subscription based website solution they were paying for was an onerous expense with little effective return. We presented a cost effective solution to an owned website structure they they can maintain themselves and successfully launched a new website built on WordPress CMS using The Web Advisors’ Custom Responsive Framework. 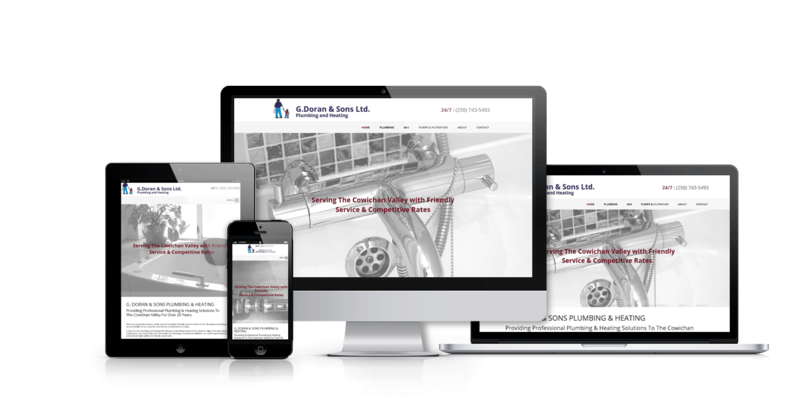 The scope of our website work for G. Doran & Sons included design and development, SEO, content migration, Google Analytics implementation, ongoing website maintenance and more.